Your own swimming pool in the garden is pure delight. Keeping the pool in top condition however is a real challenge. 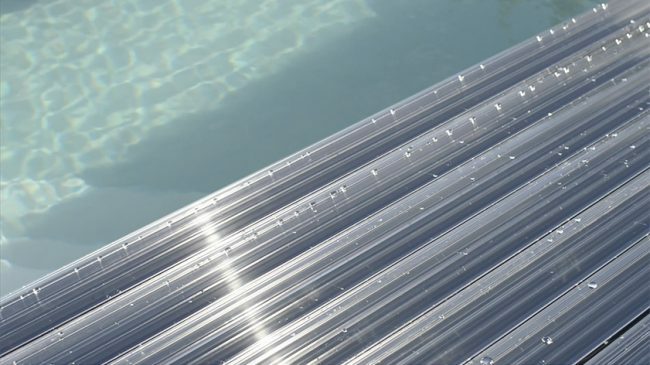 A slat cover from (Re)Cover makes life easier for you: it keeps the water at the right temperature, reduces maintenance and provides safety for young children and animals. 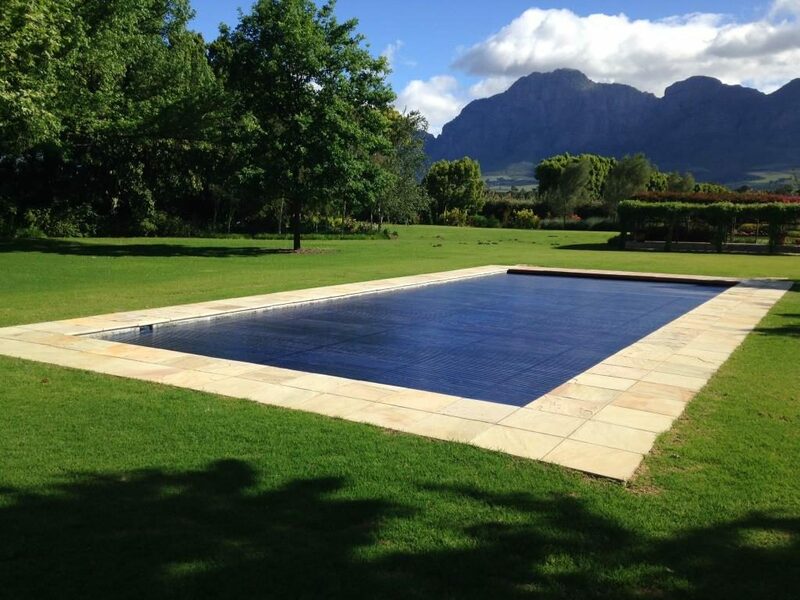 Perhaps most important: A swimming-pool cover determines how your pool and garden will look. Therefore, choosing the right cover deserves your utmost attention. 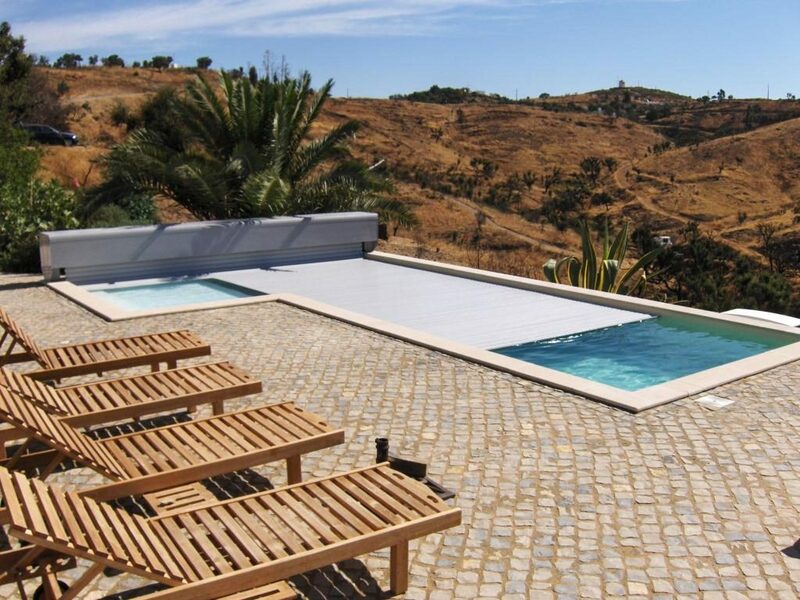 A swimming pool cover is one of the most important components of a swimming pool. That’s why choosing a cover deserves every bit of attention. 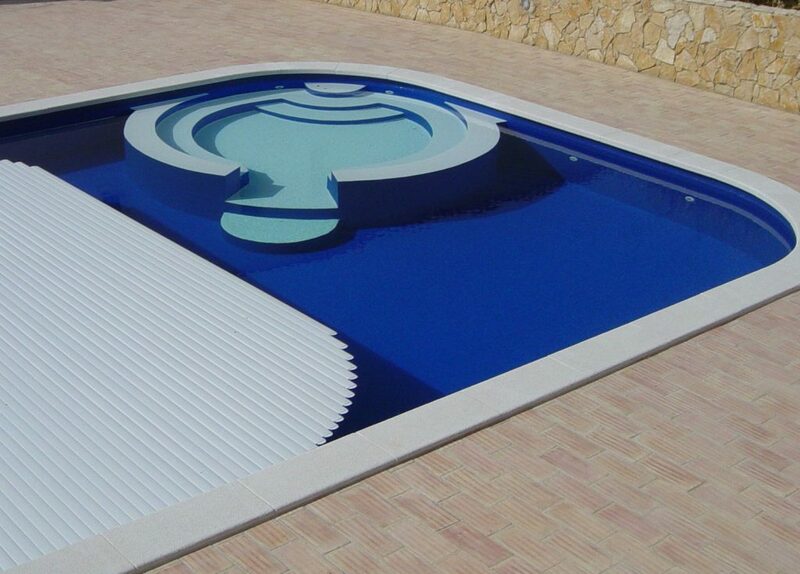 A well-functioning cover will strongly enhance the pleasure of using your pool. 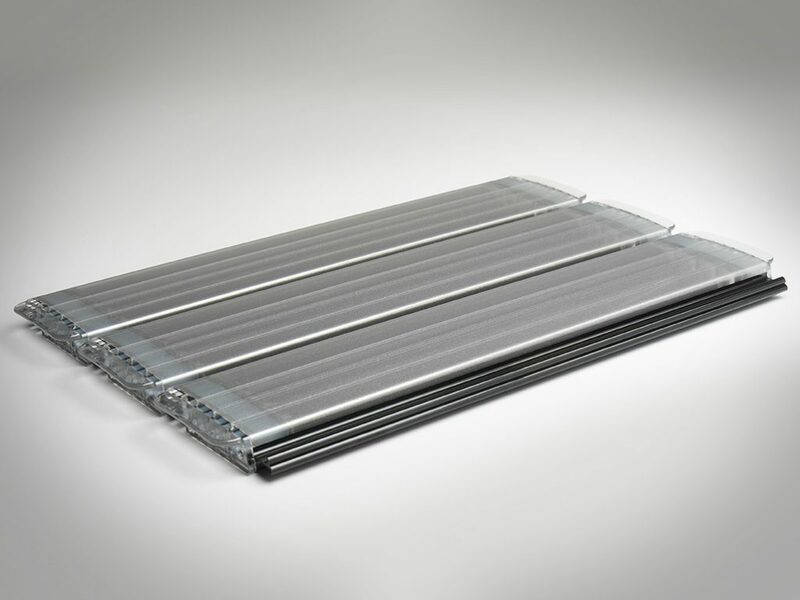 A (Re)Cover slat cover insulates, it can heat, it is safe and reduces maintenance. Its high quality ensures a long lifespan. This is achieved by the extra UV-protection, hail resistance and best possible profile geometry. Details make the difference in the cover’s lifespan, functionality and price. The design and the materials used are at the basis of this. Using TRI-extrusion, an extra protection layer is applied to the slats. Together with the built-in UV absorbers, this prevents the polycarbonate from losing its mechanical features such as high impact-resistance. This fights ageing and is essential for hail & scratch resistance. The polycarbonate slats in Mast(eR) and Clean(eR) profiles are constructed using Tri-extrusion. The Start(eR) Profile is the standard 60 mm profile in white and grey PVC. The Mast(eR) profile has the same geometry, but it is produced in very high-quality plastic (Polycarbonate). Due to the compact form, both are suitable in every situation, in new construction and renovations. Both can be mounted above ground and under water. The Clean(eR) Profile is also 60 mm wide and has an extra dark space to reduce the formation of algae in the hook connections. 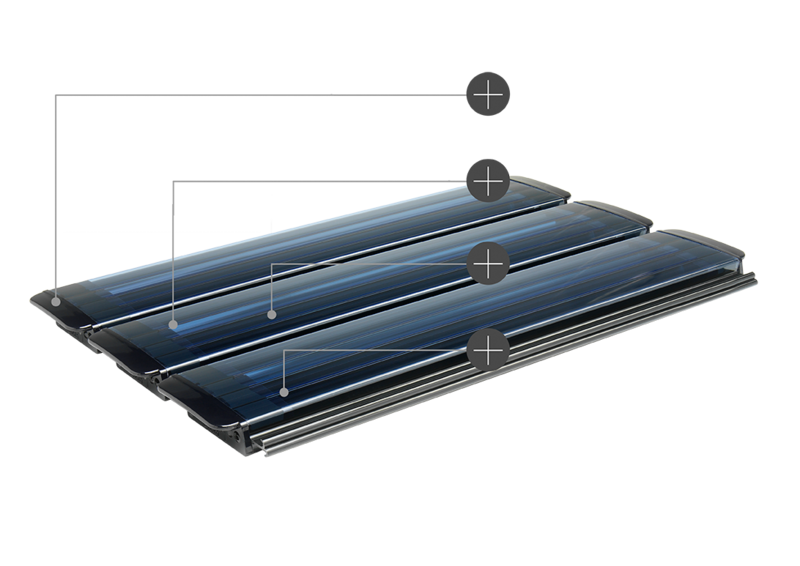 The Clean(eR) Profile is available in Polycarbonate Solar Blue and Solar Silver. In many countries, summer hailstorms are responsible for damage to cars, roofs as well as swimming pool covers. 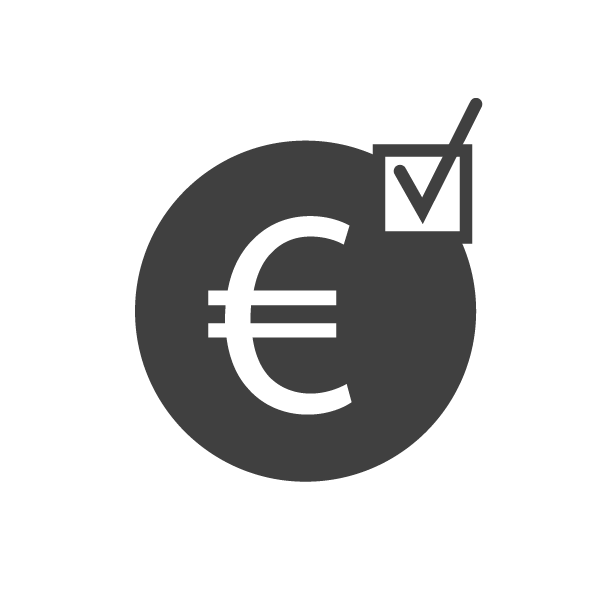 For example, Switzerland requires certification in order to insure your cover. The polycarbonate slats of (Re)Cover are tested and certified in an official testing institute in Switzerland and have achieved minimally Hail Class 4. This means no functional damage to these slats in case of hailstones of 40 mm that fall at a speed of 110 km/h. 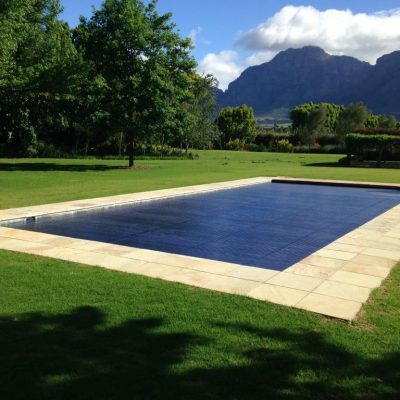 Click here to view the Hail Register for swimming pool covers. (Re)Cover seals its slats watertight using siliconized end caps. This creates a safe, flexible and reliable sealing. The polycarbonate end caps are especially designed to dry quickly (= shorter delivery time) and have an opening in the hook for promoting water circulation and reducing the formation of algae. The double hook connection of the slats ensures a firm and safe closure of the cover and a sturdy connection between the slats. 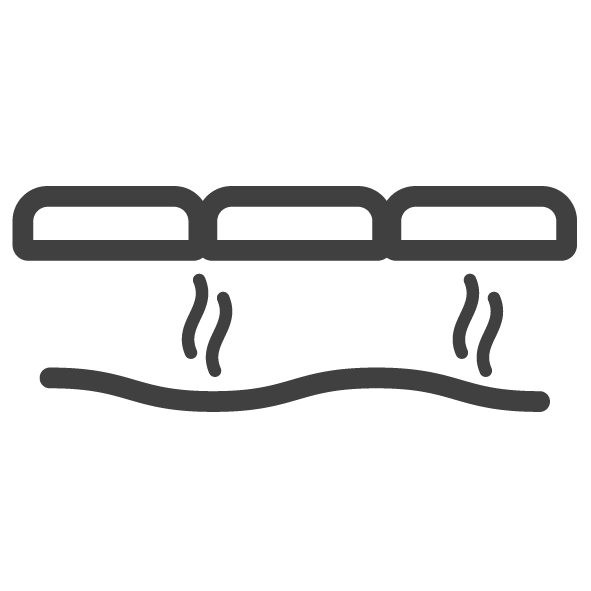 The slats can be rolled in both directions. 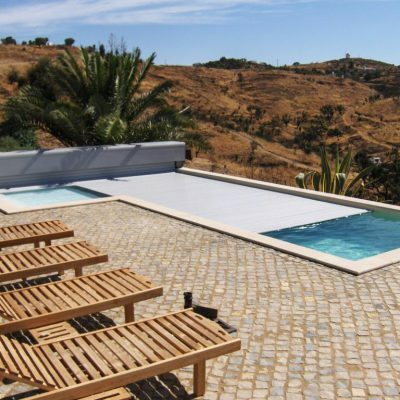 Covering the water surface prevents the evaporation of the heated pool water. The heat stays in the pool. 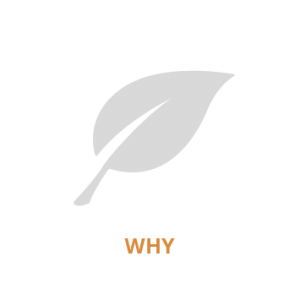 When water evaporates, it also loses the chemicals. 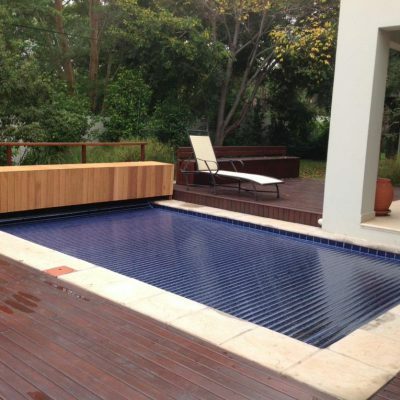 When you cover the pool, you not only save on heating costs, you also save on water and chemicals. Solar slats heat the water because the sun heats the black underside of the slats through the transparent upper side of the slats. This can make a difference of up to 10°C! 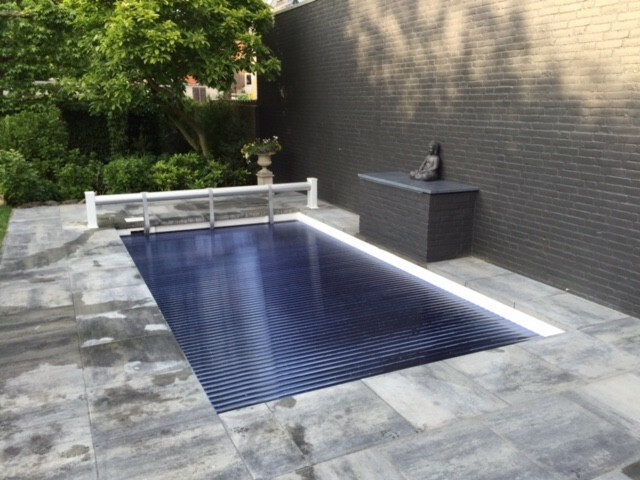 A swimming pool with an automatic slat cover saves around 50% on the energy costs and with solar slats up to 80%. 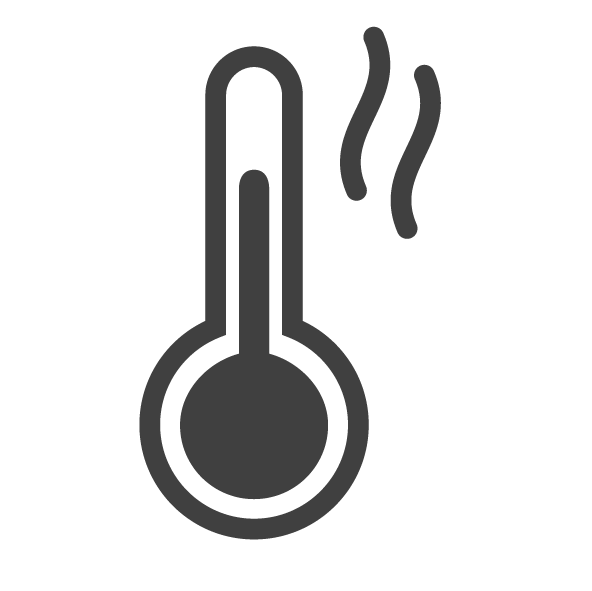 Additional heating during the season is normally unnecessary. Algae is formed by the combination of sunlight and still-standing water. Due to the dark space in the hook connection, there is hardly any algae formation in the slats, because the light no longer reaches the still-standing water. If you install the Clean(eR) Slats, the cover remains clean much longer. 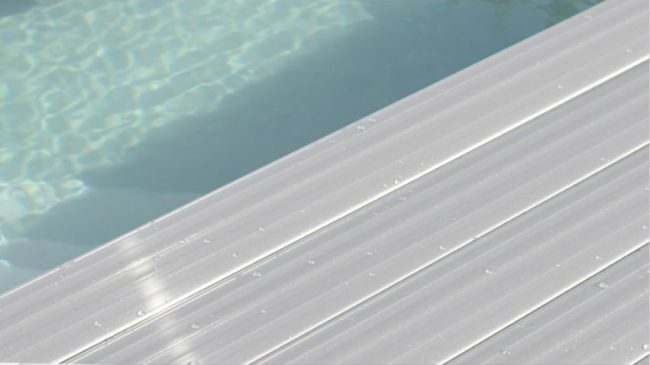 Obviously, the price for a slat cover depends on the size of your pool. 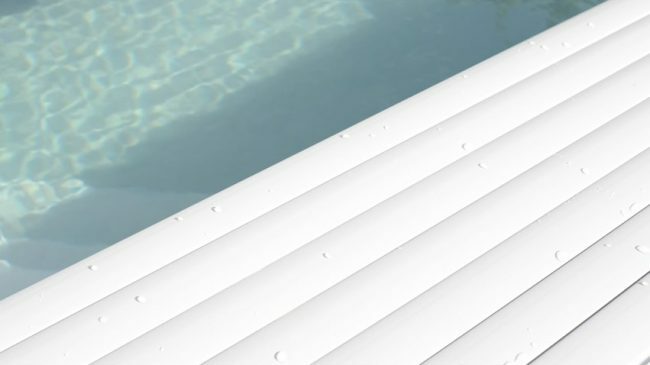 White and grey PVC slats are perfect for insulation, polycarbonate solar slats heat the water, and Clean(eR) slats reduce the growth of algae. Selecting these extra options determines the total price. These options are conveniently arranged according to three different price categories. 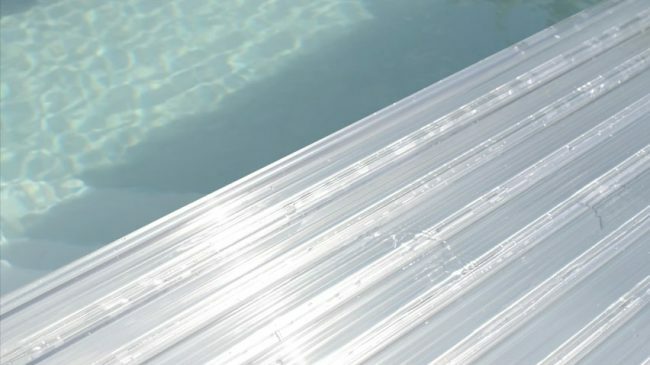 (Re)Cover offers slat covers in two types of plastics – polyvinylchloride (PVC) and polycarbonate (PC) TRI-extrusion – and in three different profiles: Start(eR) in PVC, and Mast(eR) and Clean(eR) in PC. 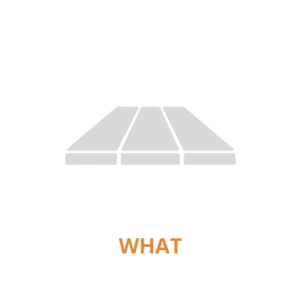 The various slats differ from one another not only in colour, but also in characteristics: insulation, heating, anti-algae. 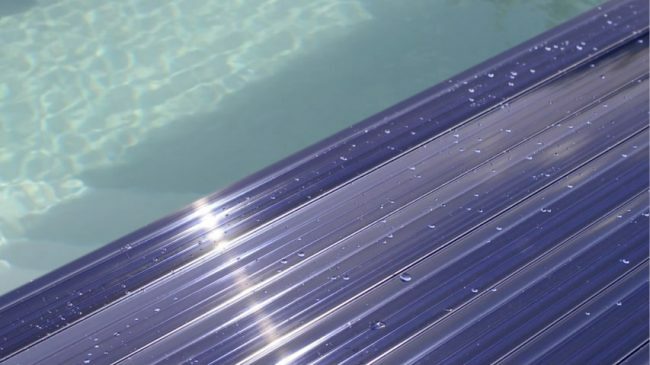 Choosing the right slats depends on a number of factors: The location of the pool (indoor, outdoor, in the sun or in the shade), desired functionalities (only insulation or also heating), budget and taste. Furthermore, there are also limited edition slats in special colours, such as Polycarbonate Solar Green. Contact us for all the possibilities. Hail causes millions of euros in damage in the southern parts of the Netherlands. 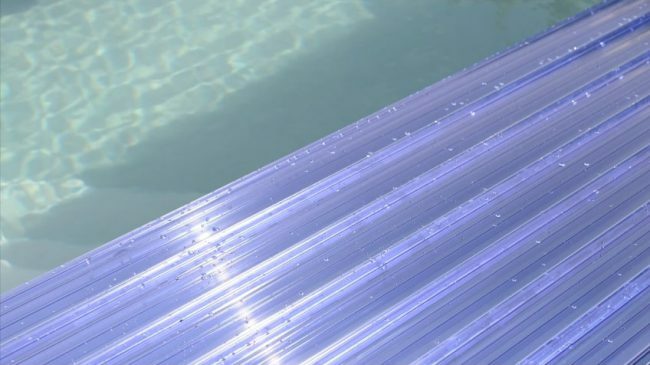 The (Re)Cover product range consists of PVC and polycarbonate slats in various colours, solar versions and an anti-algae profile. 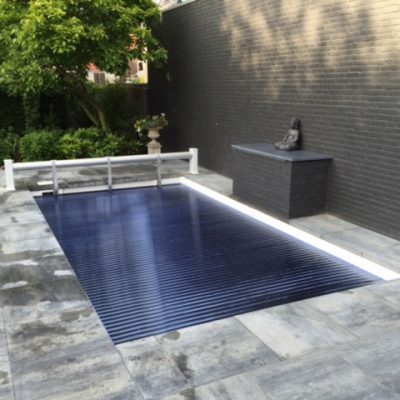 The slats, the end caps and accessories undergo constant renewing and improvement, making the ideal swimming pool cover available for everyone. 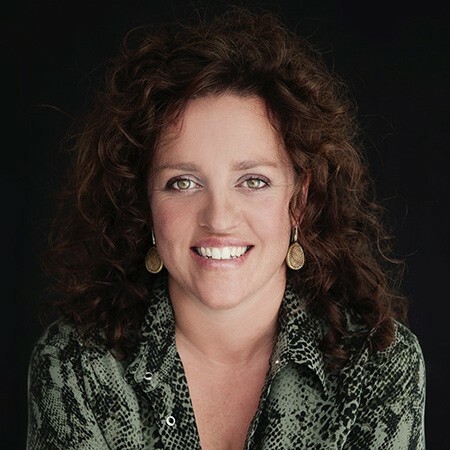 (Re)Cover makes tailored-made covers for the Dutch market as well as for export worldwide. Our ambition is to share our knowledge and expertise and that way to increase our production capacity. That is why – in addition to tailor-made covers – we also deliver loose slat profiles, caps and kits for assembling abroad. 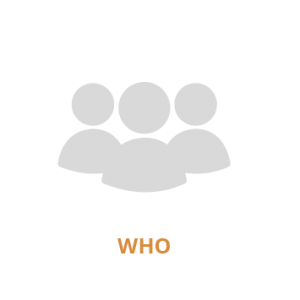 If you call us, you can be sure to speak to us. So feel free to call! 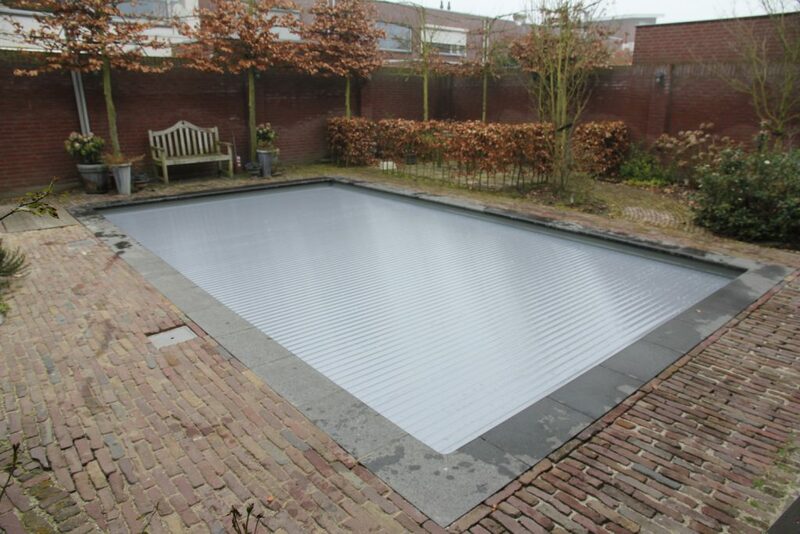 A swimming pool cover instantly saves energy and this contributes to a reduction of the CO2 emission. Covering the water surface reduces the loss caused by evaporation to nearly zero. The result is that the chemicals stay in the water. Covering with a well insulating cover also decreases convection & radiation losses. 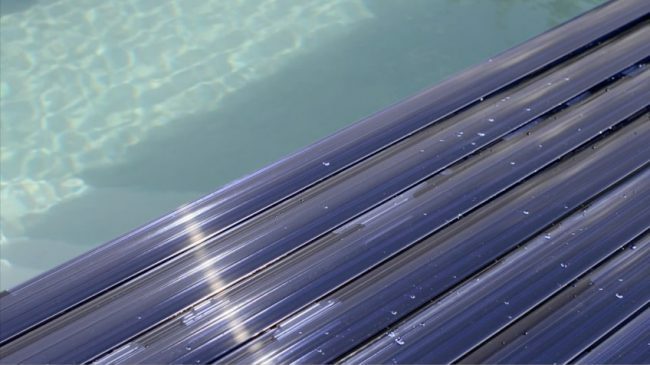 Solar slats emit solar heat to the pool water and this is pure energy savings. (Re)Cover supplies mainly covers made from polycarbonate, one of the most sustainable types of plastics. Local passion, global ambition. 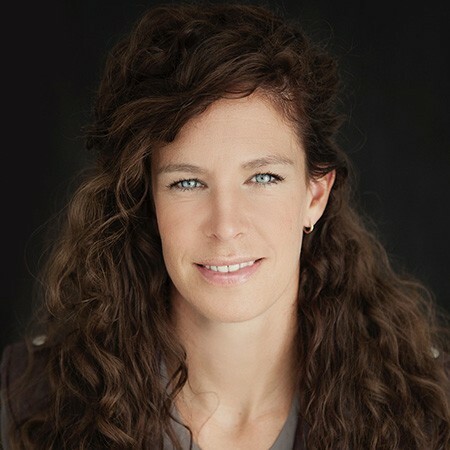 Sales and production take place in Waalwijk, the Netherlands. 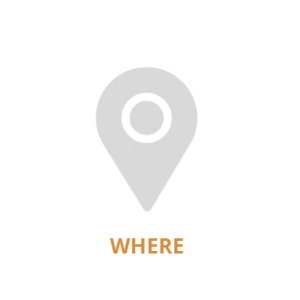 That’s where we produce tailor-made swimming pool covers made from synthetic profiles and according to the customer’s requirements. The covers are delivered worldwide from our warehouse. 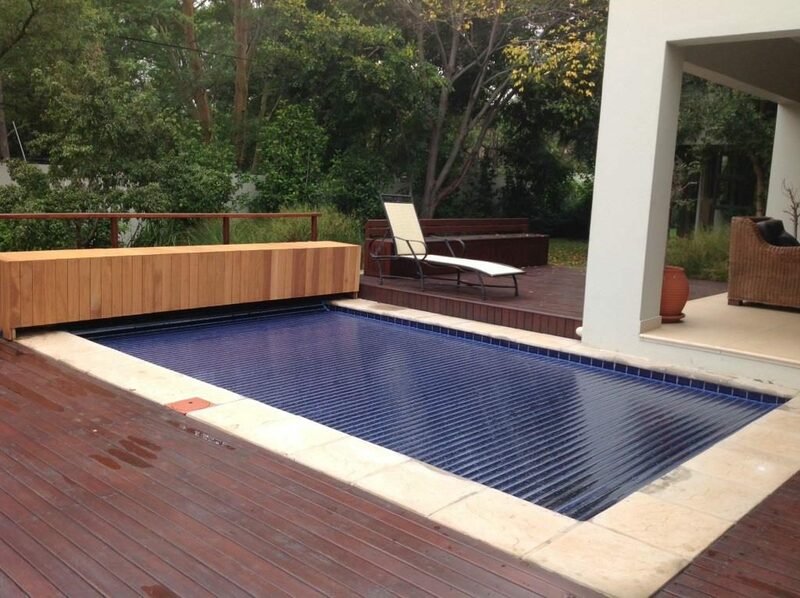 Slats for swimming pools: nothing more, nothing less. Focus: (Re)Cover focuses solely on the development, production and supply of swimming pool slats, preferably made from polycarbonate. No compromises on quality. The difference is visible in the details. Each slat is inspected for dimensions, sealing and aesthetics. 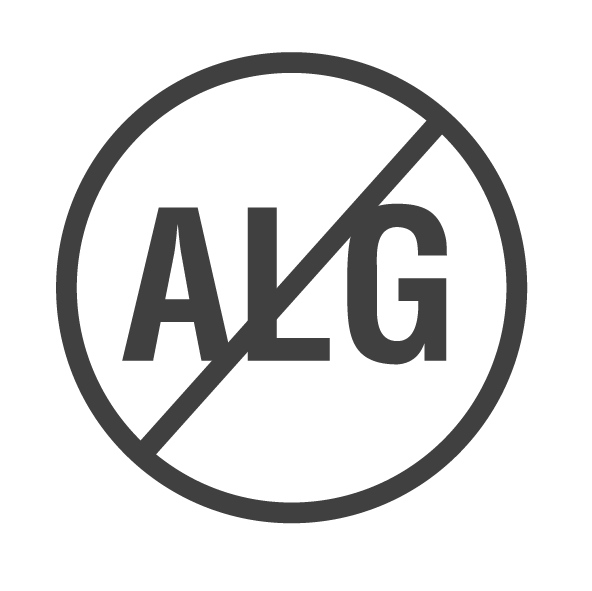 That’s how we guarantee a reliable and genuine product. 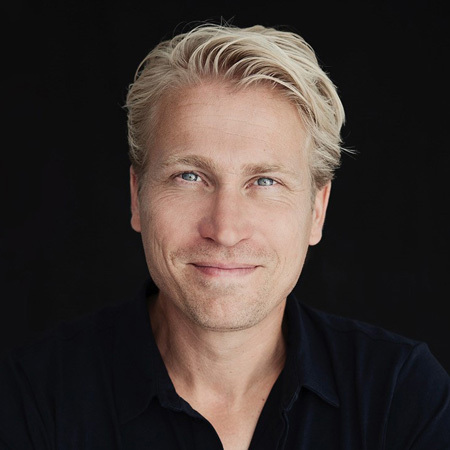 A motivated core team with more than 25 years of experience in the swimming pool market. 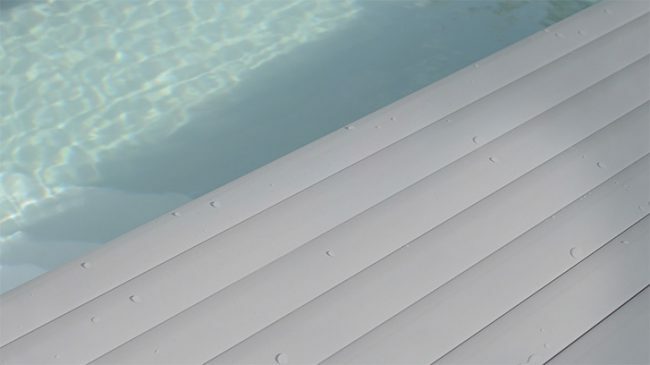 Focus on the production of slats for swimming pool covers. (Re)Cover is the perfect partner for skilfully producing, delivering and installing slat covers in the Netherlands and abroad. 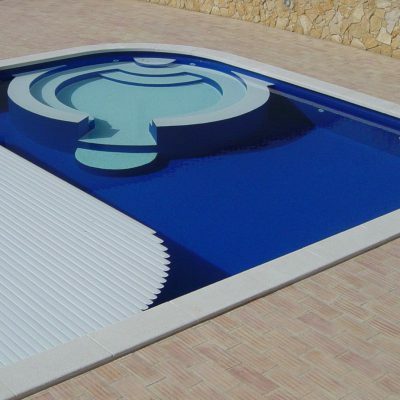 Furthermore, (Re)Cover maintains unique collaboration with extrusion companies, cover producers, installers and other swimming pool professionals. Each associate adds its own expertise and extras to the product and that transforms synthetic profiles into a beautiful swimming pool cover.